Executive Vice President of the Employee Benefits Division (EBD), Sagicor Life, Willard Brown (centre), greets Managing Partner, First Responder’s Technology Limited, Aldain Reid, during a signing ceremony recently. Looking on is Vice President of EBD, Nicola Leo-Rhynie (right). 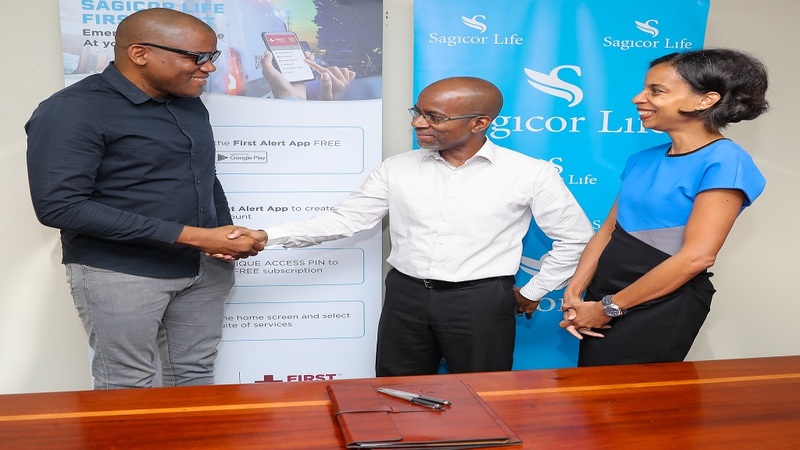 Sagicor Life Jamaica has entered into an agreement with local technology start-up, First Responder’s Technology Ltd., which will allow its group health insurance policyholders to benefit from free access to the First Alert App, a smartphone-enabled emergency dispatch service. The First Alert application provides an instant response in the event of an emergency. 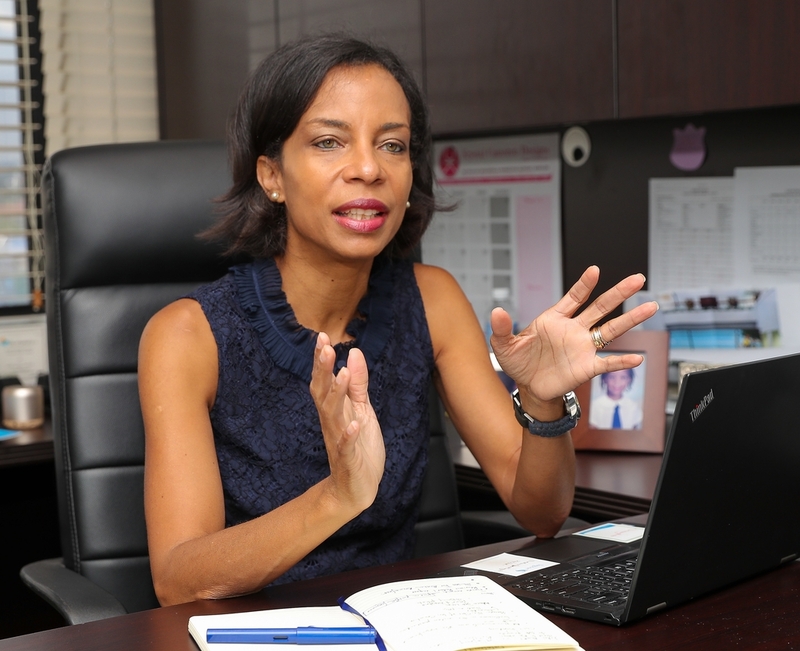 Vice President, Employee Benefits Division, Sagicor Life, Nicola Leo-Rhynie, said through the partnership, clients will be provided with a unique access code upon the renewal of their policy, which will waive a monthly subscription fee to use the application. “We are invested in the wellbeing of our clients and believe this is a service that can make the difference between life and death. Clients are only required to download the app, input their code and access the different services provided. In the event of an emergency, they will have immediate access to emergency services,” she said. 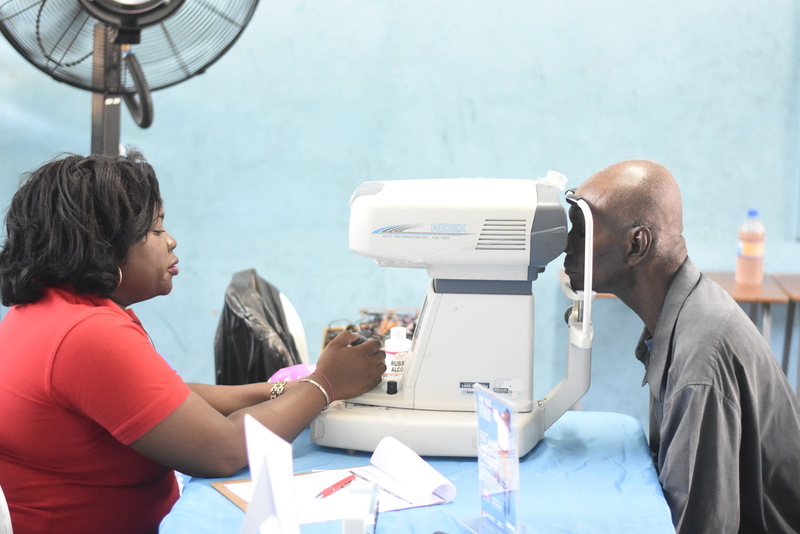 Sagicor Life has already dispatched over 10,000 unique codes to clients, through their employers. Features of the First Alert app includes medical emergency calls, first aid information, help in finding nearby health/emergency providers, calls to the police, help for a friend in need and access to 24-hour roadside assistance. The application can be downloaded on both IOS and Android platforms. Managing Partner, First Responders Technology Ltd., Aldain Reid, said when users contact the First Alert contact centre through the app, the notification is handled immediately by an emergency medical dispatch professional who has access to the caller’s profile, medical history and precise location in real time. He said the application seeks to fill a gap that exists for sufficient nationally-accessible and structured emergency services. “We believe that First Alert provides an innovative response to personal emergency and through the harnessing of technology, we hope to improve the lives of citizens. We are very excited about this partnership with Sagicor as we can showcase our technology across a large subscriber base. We anticipate that our collaboration will have a significantly positive impact,” he said. 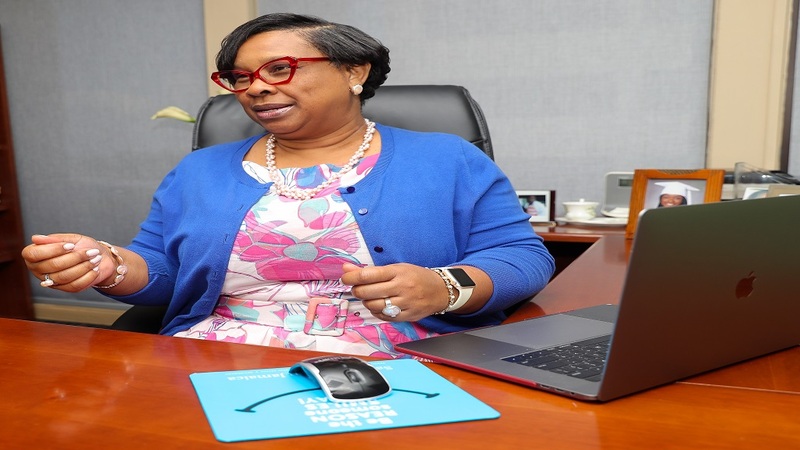 The First Alert app, is the first of its kind locally and won the 2018 Jamaica National Innovation Award in the Health and Safety category and has garnered recognition from institutions such as the World Bank for its potential global impact.